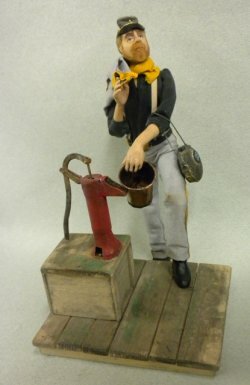 Hand sculpted and dressed Confederate soldier by Mike Barbour filling his bucket at the well pump. Wonderful aging and detail. Click to see close-up of his face.